Drawing inspiration from their wildly popular P.R.O. Leader Shoe, Pearl Izumi's Elite Road v5 was redesigned to deliver a stellar semi-custom fit, and race-winning power transfer. 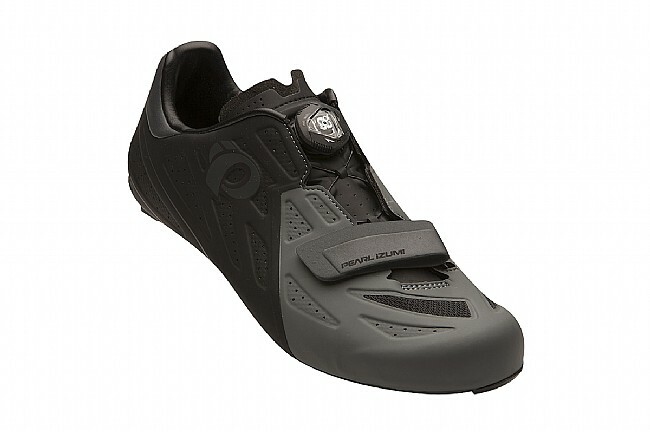 Utilizing Pearl Izumi's Unibody Construction, these shoes do away with the traditional lasting board manufacturing process and dropping the stack height to a staggeringly low 5mm. 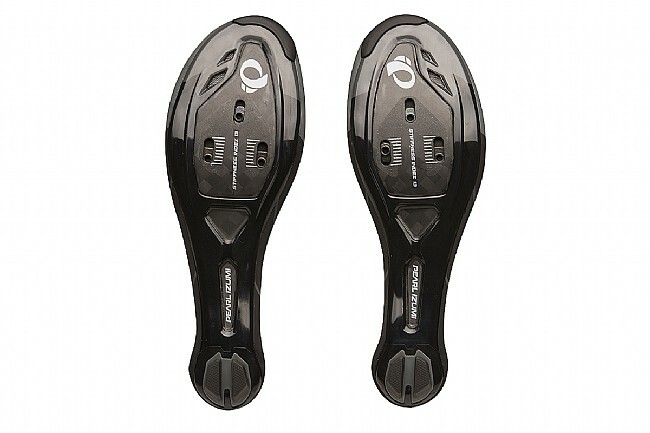 When combined with Pearl Izumi's stiffest sole, the Carbon Power Plate, the Elite Road v5's ensure that every watt of power you generate gets transferred to your bicycle, turning power into speed. The 3-Layer Seamless Composite Upper is exceptionally breathable, and flexible enough to wrap around and adapt to your foot to eliminate chafing or hotspots. Furthering this shoes semi-custom feel, the Elite Road v5 utilizes the Boa IP1 closure to provide an ultra-precise fit, with micro-adjustments of just 1mm. A lower forefoot hook-and-loop strap keeps the toebox feeling as snug as you like it, providing comfortable support to round out the fit. Compatible with three-bolt road cleats. Unibody construction provides 5mm stack height, maximizing pedaling efficiency. Boa IP1 dial provides a secure, micro-adjustable fit. 3-Layer Seamless Composite Upper conforms to the foot to prevent hotspots. Airy mesh ventilation ports keep feet cool. 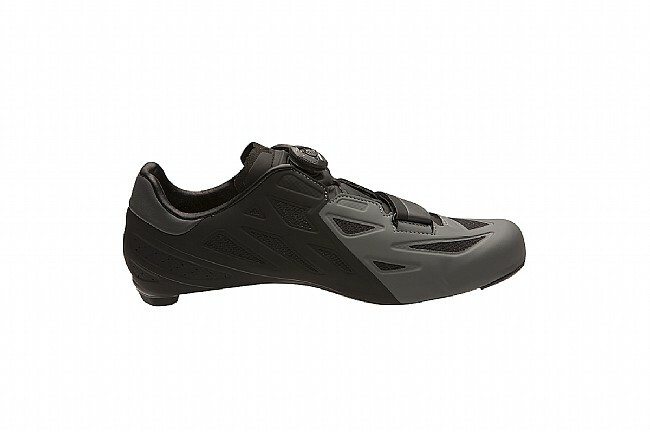 I bought this shoe as an upgrade from a Shimano MTB shoe. The shoe fits true to size to almost a little bigger. I was able to downsize from 12 to 11.5. Granted, this meant my toes were a touching the end of the toe box but they expanded after break-in. 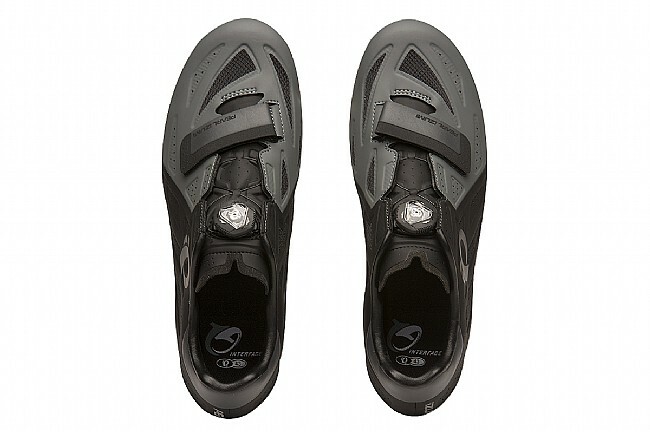 Soles are stiff, but then again, coming from an MTB shoe, anything will seem stiff. The BOA system is precise and offers micro-adjustments that Velcro straps cant. 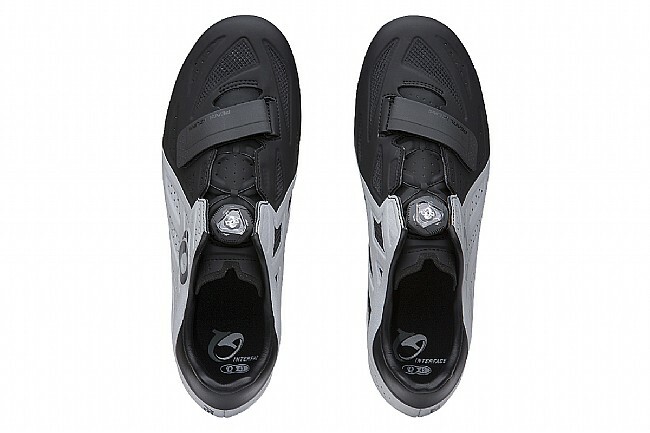 I am very pleased with the shoe and can tell my pedaling efficiency has increased. Lastly, aesthetic-wise, these are fantastic and quality is superb.